This recipe goes back to my days as the Houston Barbecue Examiner. In honor of Hatch Green Chile Month we used hatch green chiles instead of the serranos and jalapenos. I'll post both recipes below. Combine ground beef with peppers, garlic, salt and pepper and divide into four equal patties. For a more southwestern flavor, add 1 teaspoon of ancho chile powder. The secret to a good, juicy burger is to get a good sear, so make sure the grill is hot. 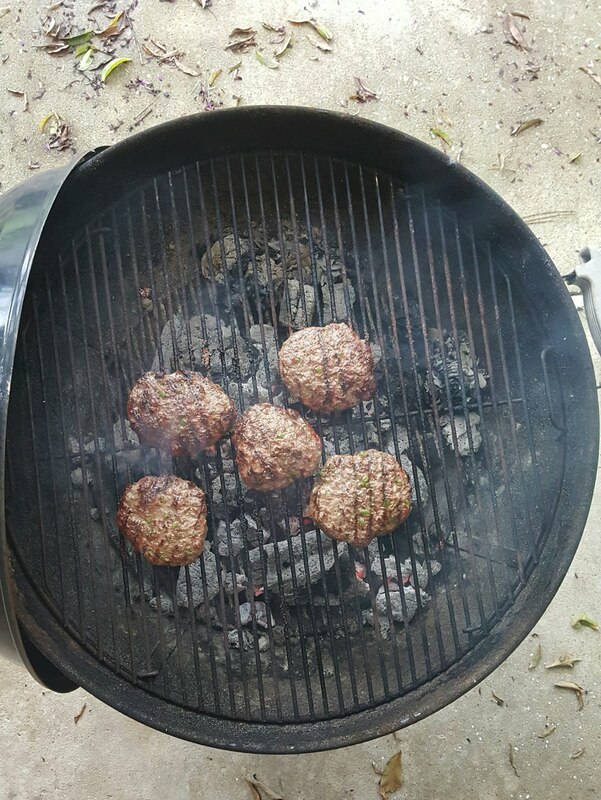 To reach desired doneness without burning, it may be necessary to move the patties away from the heat after both sides have been seared. In one bowl, combine flour, salt, and pepper. In a second bowl combine breadcrumbs, cornstarch, salt, and pepper. In a third bowl, combine the egg and milk. Dust the onions in the flour and wash in the egg mixture, and then cover with breadcrumbs. Transfer the onions to a pot with about an inch of hot peanut oil. 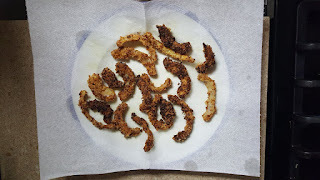 Remove the onions to a paper towel once they have become golden brown. Assemble the burgers in Kaiser rolls, topping the grilled patties with sliced avocado and crispy onion straws. Combine ground beef with chilies, garlic, salt and pepper and divide into four equal patties. Put the patties on the grill to cook. Make sure the grill is hot to seal in the flavor. I'll end up moving the patties around to make sure they all get cooked evenly. 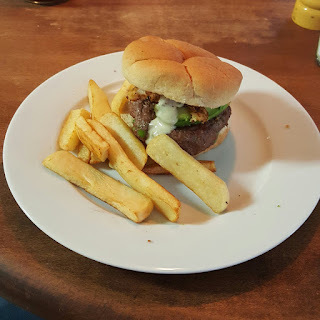 Assemble the burgers in Kaiser rolls, topping the grilled patties with sliced avocado and crispy onion straws. Finish with some ranch dressing. Now that is my kind of burger! It looks and sounds delicious. Thanks Pam! I can't decide if I like the original recipe or the hatch chile version better.